Media Piracy, Film & Aligned Media – Preservation && Access, Vintage Thamizh Films and some Random Thoughts ..
RE-ASSESSING THE ORIGINS OF THE GEMINI FILM STUDIOS. Conversations – ‘Film News’ Anandan, D.V.Balakrishnan and Dr.S.Krishnaswamy ..
Over the last couple of months, I have continued to have meaningful conversations with reliable sources of Information. However, Neither is my computer in the best of shape to do some HD Editing nor do I have the necessary Internet Bandwidth to upload even a Trailer, for that matter.. But, Thankfully, My humble First Generation I-Pad is still running good. By December, it would have served me good for almost three years. It has also been my go-to-recording device. As a compromise of space, I set Audio to the best quality, while The Video Recording quality i Keep minimally, So, the End Video Quality does have some pixelations, in it. But i guess, thats the best, that i can manage under these circumstances. ‘FILM NEWS’ ANANDAN – He is one of the most reliable sources of Information in the Tamil cinema Industry. He is officially credited as Tamil Cinema’s First PRO, and has been an immense source of Reference for contemporary work on Tamil Cinema. In the year 2003, the Tamil Nadu Government took over a lot of his material and published his book. Although, I do not have a copy of this book ( I am unable to get one), I have managed to see the book, and the meta data of virtually every film made in Tamil cinema, is almost there.. The work is just way too humongous.. I did have some difficulty tracing him, but thankfully, he only obliged me for speaking for over 2 hours, inspite of his increasing age. He has also lost his eyesight, Poor Man.. He told me a lot of stories, but then, understandably, he gets one or two – wrong. He is unable to recollect, some of his own information, suddenly, which he himself has printed. But he also gets some bang on – The Movie ‘InbaSakaran’ which was burnt in Subhrmanyam’s studio for instance.. It was a very pleasurable experience that i even got to meet this man and take a photograph with him, forget the pleasure of discussing cinema with him. 2. D.V.Balakrishnan – In the time spent between conversing with Film News Anandan and D.V.Balakrishnan, I spent a lot of time reading books, and seeing some old films. I observed that the most damage in terms of lost or inaccessible movies was that of Director Raja Sandow and Dr.K.Subhramanyam – commonly known as The Father of Tamil cinema. The Other contemporary large studios or film directors of that Era like Pakhshiraja, Gemini, AVM or Directors like Sunder Rao Nadkarni, Ellis R Dungan or Y.V.Rao ( Actress Lakshmi’s father), atleast a few films are available. So, while trying to get some information about Pavalakodi, I landed up getting links of Suresh BalaKrishnan ( and his father D.V.BalaKrishnan). My point of focus was Pavalakodi and Naveena Sarangadhara, the First and Second Films of K.Subhramanyam. But they were also the first and second movies acted by M.K.ThyagaRaja Bhagavathar and Actress. S.D.Subbulakshmi. The Balakrishnan’s have been researching about M.K.ThayagaRaja Bhagavathar, So I some how managed to link to them.. Incidentally, D.V.Balakrishnan also appears in the documentary ‘An American In Madras’ by Ellis R Dungan by Karan Bali. Since Suresh is a busy person, most of the conversation that i have had in this one week was entirely with the senior D.V.Balakrishnan and he is indeed a treasure house. He has virtually extended every cell of being a MKT fan and pushed that energy in the form of a very well researched book called Bhagavathar-His Life and Times. 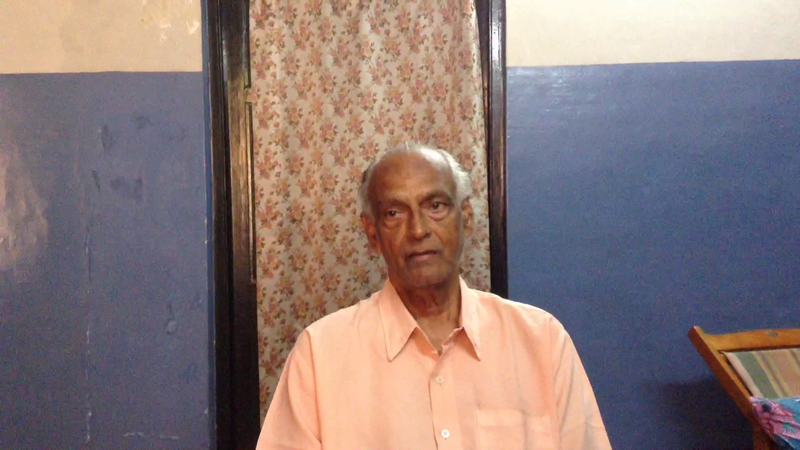 And Mr.D.V.Balakrishnan was extremely accomodative and cordial in terms of his hospitability. Thank you very much D.V.Balakrishnan Sir. 3. 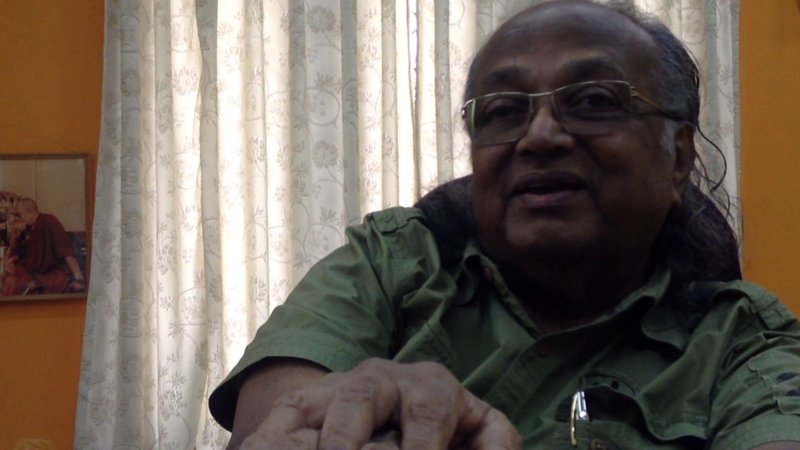 Dr.S.Krishnaswamy – Dr.S.Krishnaswamy is the co-author of ‘INDIAN FILM’, an authoritative work on Indian Cinema. It was first published in 1963 and second edition in 1980. Not only is he extremely well informed about Indian Cinema, he also incidentally happens to be a son of the Great Legend – Director K.Subhramanyam itself. As has always been the practice, with each conversation, I take in more effort to prepare questions. I do a lot of reading, and I refer contemporarily available reliable Documents and most importantly, I try to double check on Information, if there are conflicting views. Since i had informed Dr.Krishnaswamy that i wanted to focus on K.Subhrmanyam Sir’s family, I had done my level best to do some preparatory work, and it was definitely one of the most enjoyable experiences that i had. I must also thank Dr.Krishnaswamy for giving me some material on K.Subhramanyam, which were published by other authors as well. He also gave me more leads on JayaKanthan’s movies, which i intend to explore further.. I have planned a couple more interviews, which I do hope that i will get an Appointment, and explore some more places, where Published material is available in Chennai. I also intend to take a trip to the Film Archives in Pune, as well. Let us see, how far things will go!!! 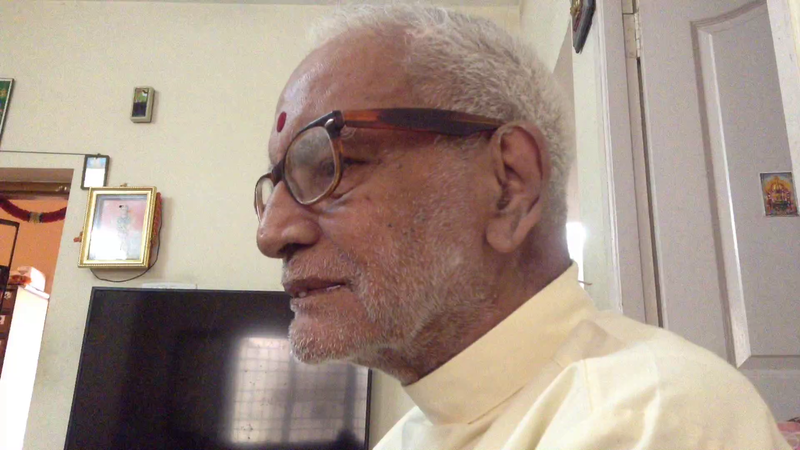 This entry was posted in KTP-Exclusive Interviews, LOST TAMIL CINEMA and tagged D.V.Balakrishnan, Director.S.Krishnaswamy, Film News Anandan on August 19, 2015 by Sugeeth Krishnamoorthy. The Missing Film Reels of Thamizh Cinema by Sugeeth Krishnamoorthy is licensed under a Creative Commons Attribution-NonCommercial 4.0 International License. Based on a work at https://killthepirate.wordpress.com. Permissions beyond the scope of this license may be available at https://killthepirate.wordpress.com. Evernote is truly a life-changer. Click the image below and bring organizational clarity into your life. I am also active on Twitter .. Tweet..Tweet..